Please note: we are sorry to have to report that this product is unfortunately out of stock and is no longer available. 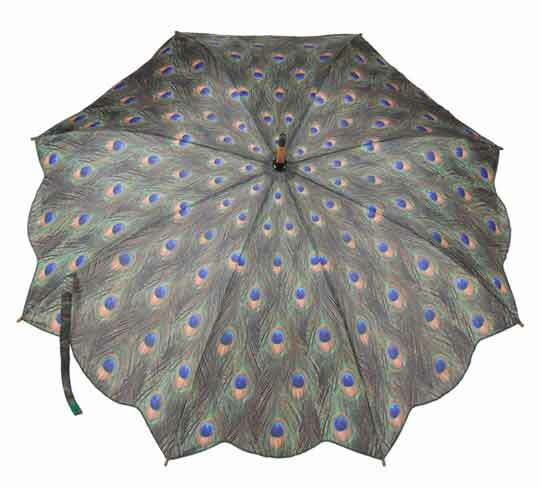 This beautiful peacock print umbrella is one of many we have added to our fashion range and I’m sure you can see why they’re in such demand. The canopy features a stunning peacock feather print design, ready to brighten up those wet and miserable days. 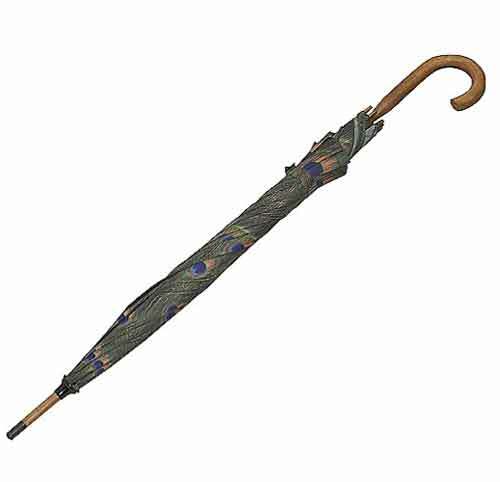 This elegant fashion umbrella has a wooden crook handle and stem finished off beautifully with a matching top ferrule and spoke tips. 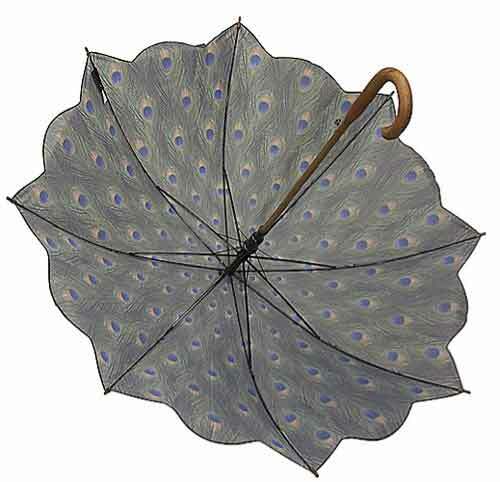 This Peacock print umbrella is 35″ (89cm) from tip to toe and has a canopy width of 41″ (105cm) , a nice comfortable size affording plenty of protection. Deploying at the click of a button, this elegant and eye-catching fashion umbrella has a push button auto-open mechanism. Not the right umbrella for you? Check out the rest of our quality animal and art print umbrellas!